If you’re looking for the truly authentic way of serving traditional haggis (and vegetarian haggis too), bashed neeps (turnips) and tatties (potatoes) are a must. Be as fancy as you like in preparing your plate. Served in a tower is one way to impress your guests, but a generous scoop of each on a plate lines the ribs just as well. The earthy colours complement one other beautifully. and for really large numbers don’t forget the catering packs. Cooking instructions are printed on the packaging of every product but for ease, here is a guide to cooking haggis. We’ve not specified the number of neeps or tatties here as it is really determined by how hungry you think your guests will be. As a general rule. 500g of potatoes and 1 large turnip for every four people around your table will confirm your reputation as a generous host. Peel and quarter a turnip and boil for 25 minutes or until soft. Drain and mash with a little butter. Add a teaspoon of caster sugar and season to taste with salt and pepper. Peel and quarter the potatoes and boil for 20 minutes or until soft. Drain and mash with a little butter and milk to get a smooth, creamy consistency. Season to taste with salt and pepper. All that remains is to warm your plate and serve. 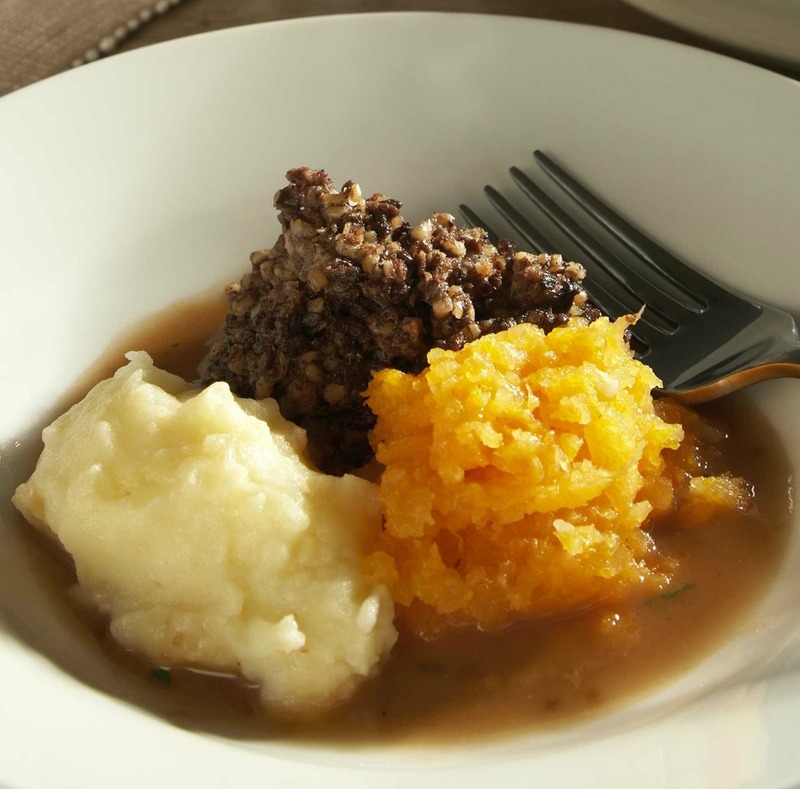 If you’d like to share your plate of haggis, neeps and tatties, we’d love to see a photo.